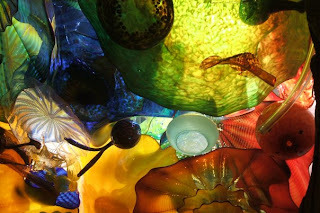 Today's blog challenge is to tell about what famous work of art I would have in my home if money were not an obstacle. Honestly, this one initially stumped me. I am not a connoisseur of artworks. 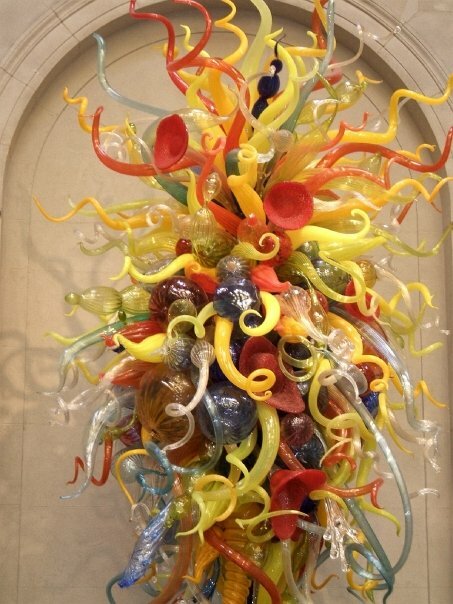 I have always been able to appreciate a painting or a sculpture, but never have I looked at a piece and thought, "wow, I would really like to have that in my home". Then it dawned on me! Yes, there is an artist that I have greatly appreciated since being introduced to him during my years living in Columbus, Ohio. 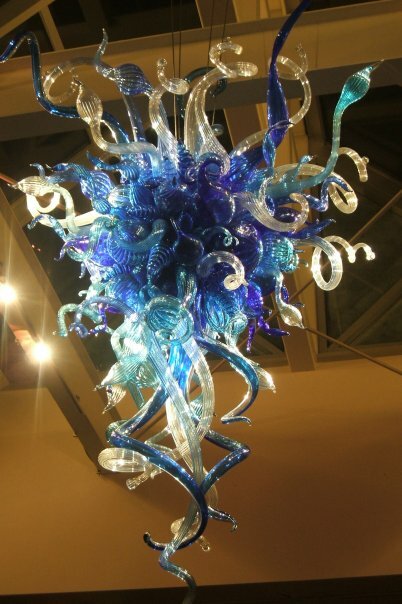 His works were the sole reason I would visit the Franklin Park Conservatory. The glass artwork of Dale Chihuly. I love how light can shine through one of his pieces and completely change how you feel about it. 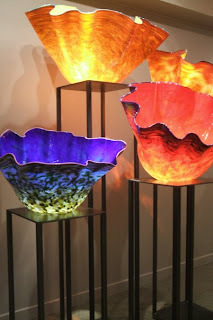 But I guess one of these pieces would be a little more feasible for my home (and you know, would actually fit in your home if you don't happen to have 30 foot ceilings ;) ). 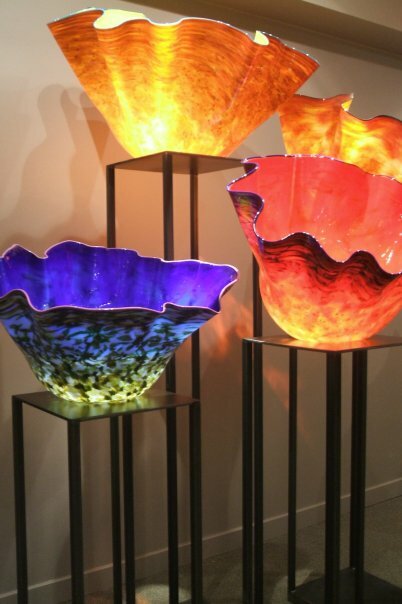 Have you ever seen Chihuly glass art yourself? Very nice. I get the feeling that even though I'm not all that knowlegeable on the arts, this blog hop will teach me alot. You like the same artist as Kassie! He does an amazing job! 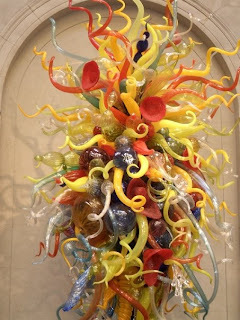 Hha, now I know how great Dale Chihuly ^^ nice2! Phipps Conservatory in Pittsburgh has many pieces on display. Also in the Casino at the Atlantis Resort in Nassau. Oh wow, I've seen three bloggers with this guy, and I've never even heard of him! Thanks for introducing me to someone new!